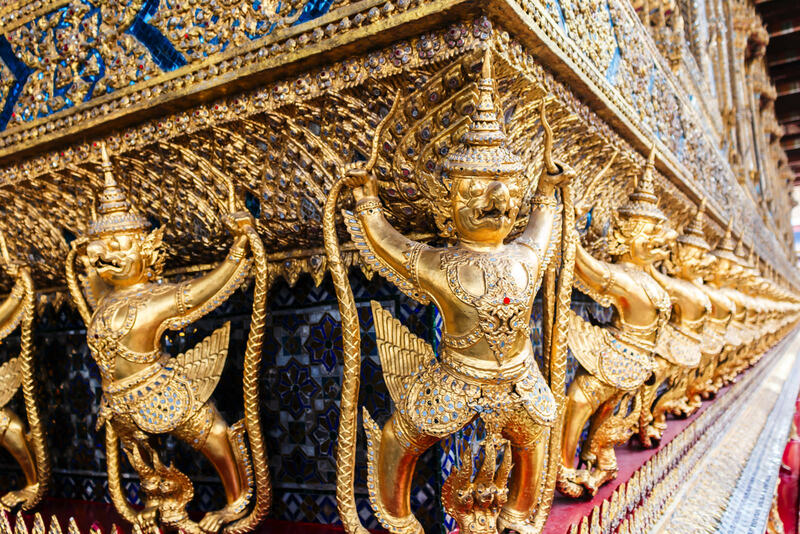 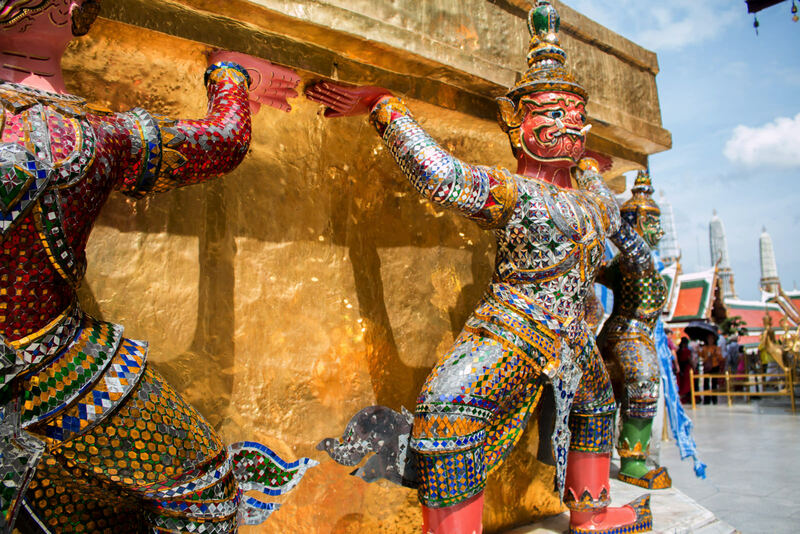 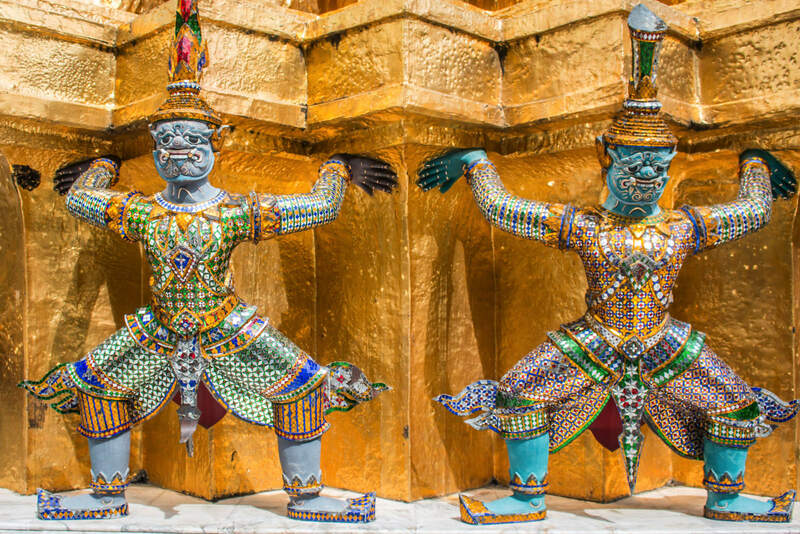 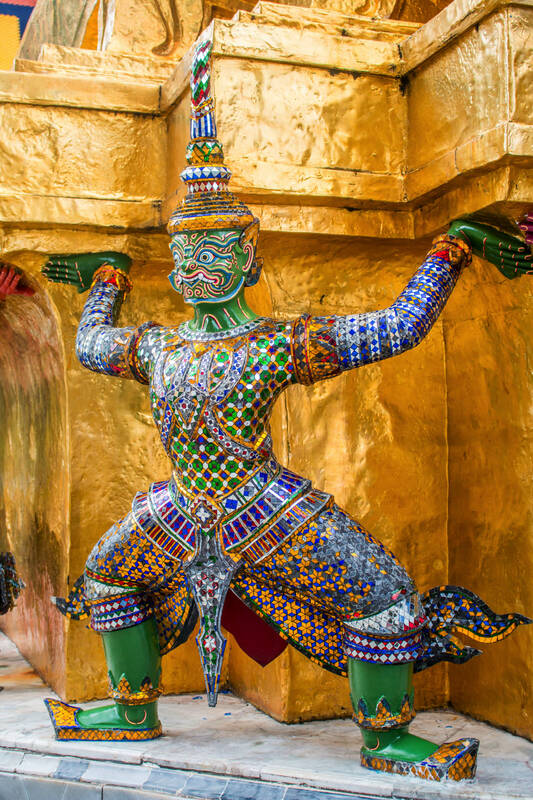 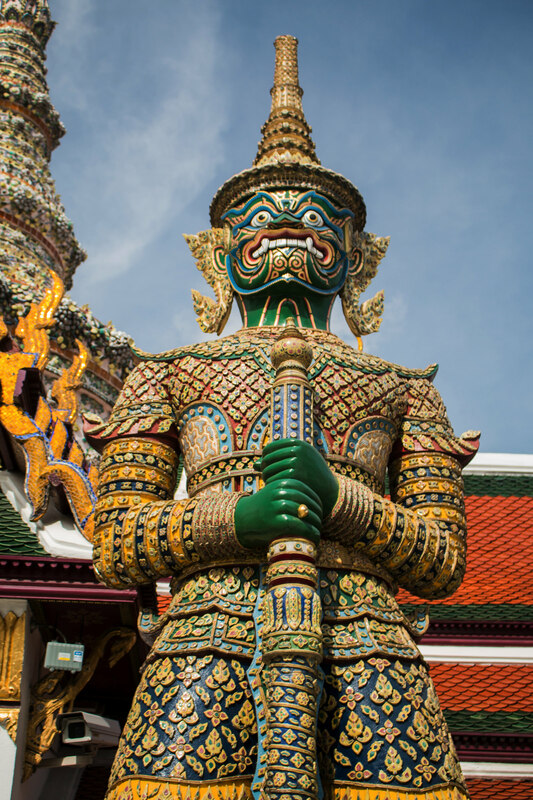 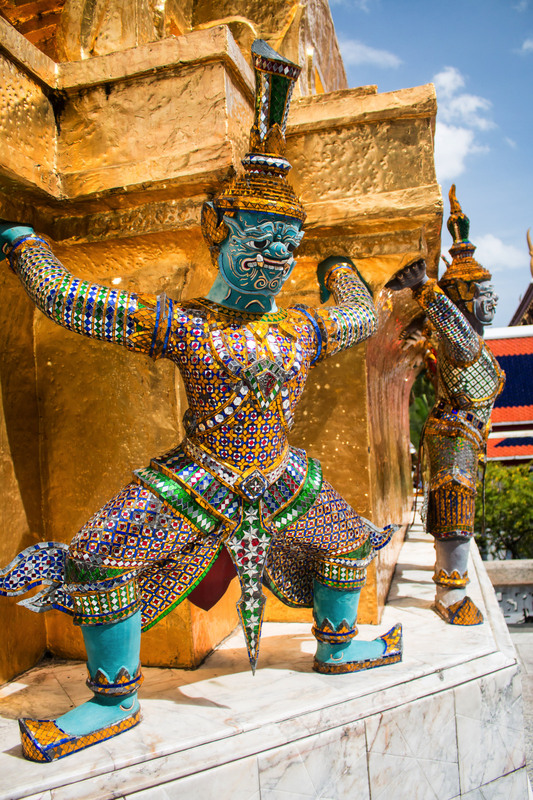 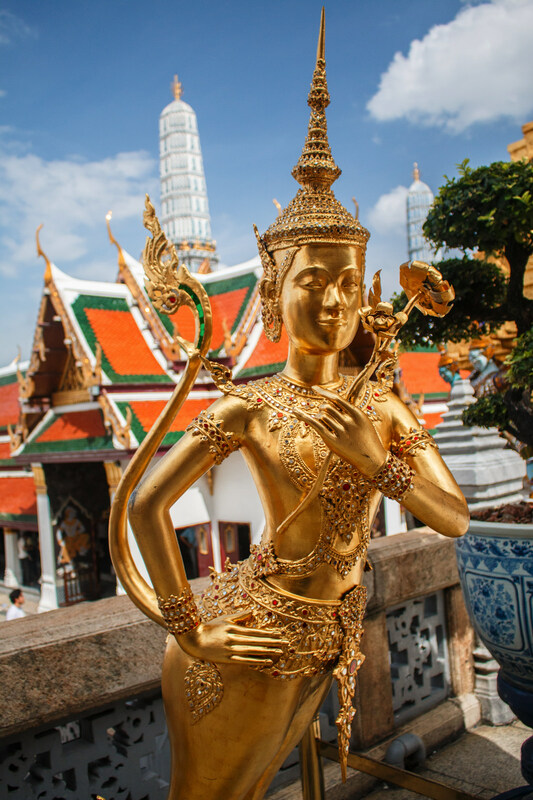 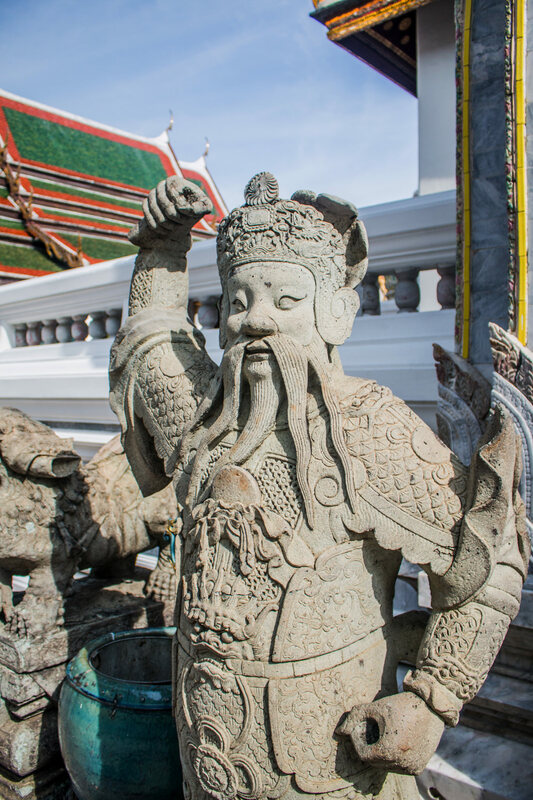 Also known as the Temple of the Emerald Buddha, Wat Phra Kaew is the colloquial name of the vast, fairy-tale compound that also includes the former residence of the Thai monarch, the Grand Palace. 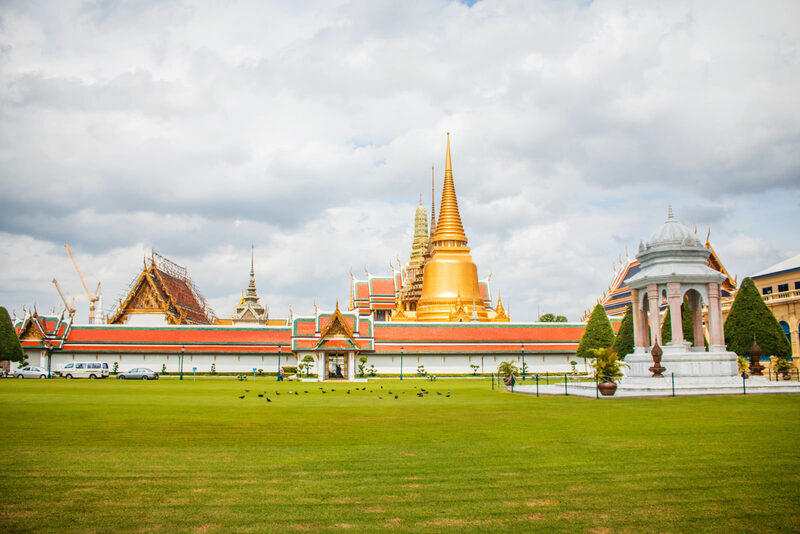 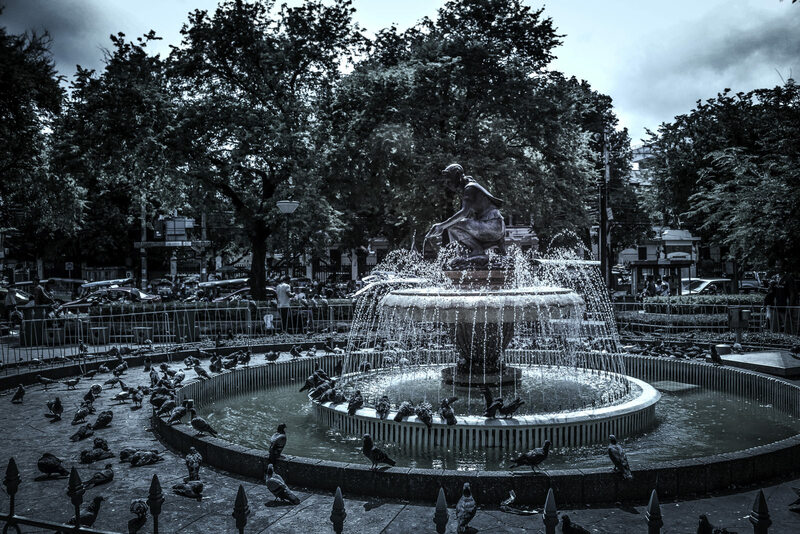 This ground was consecrated in 1782, the first year of Bangkok rule, and is today Bangkok’s biggest tourist attraction and a pilgrimage destination for devout Buddhists and nationalists. 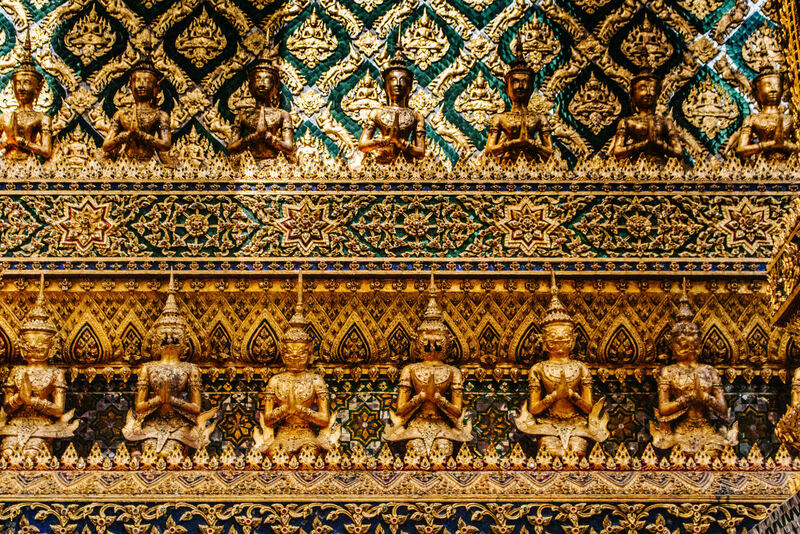 Housed in a fantastically decorated bòht (ordination hall), the Emerald Buddha is the temple’s primary attraction. 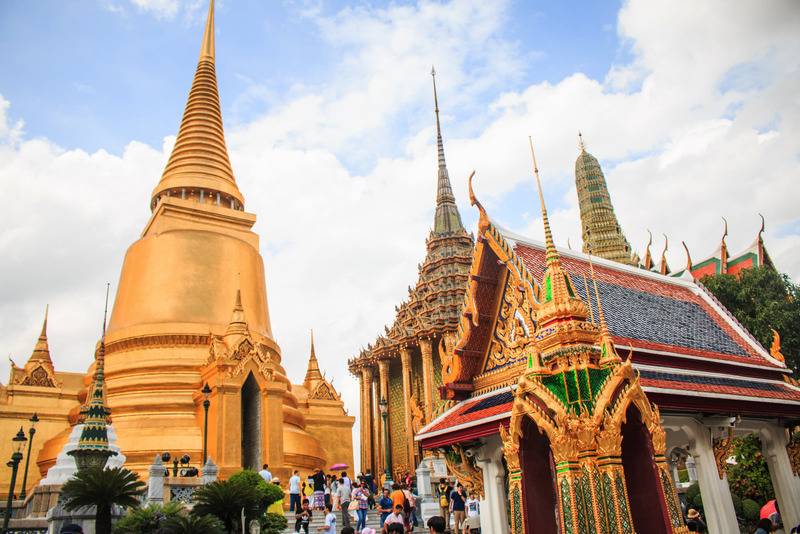 Except for an anteroom here and there, the buildings of the Grand Palace are now put to use by the king only for certain ceremonial occasions, such as Coronation Day, and are largely off-limits to visitors. 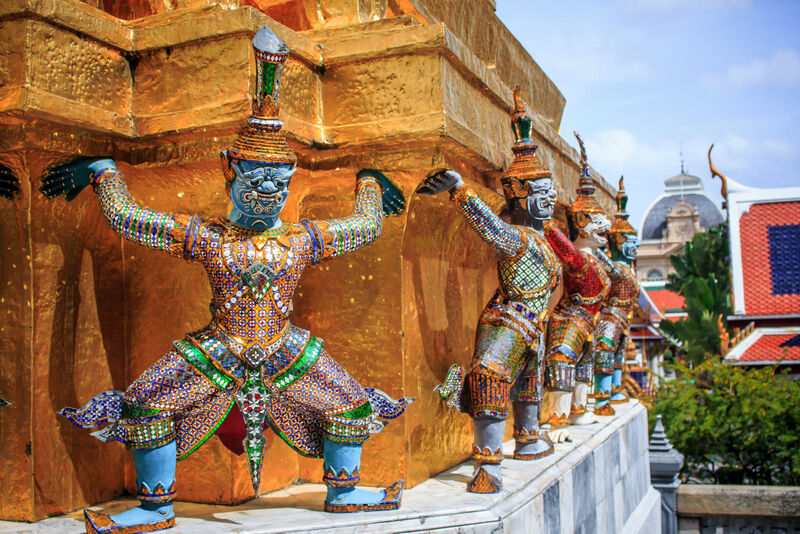 Formerly, Thai kings housed their huge harems in the inner palace area, which was guarded by combat-trained female sentries. 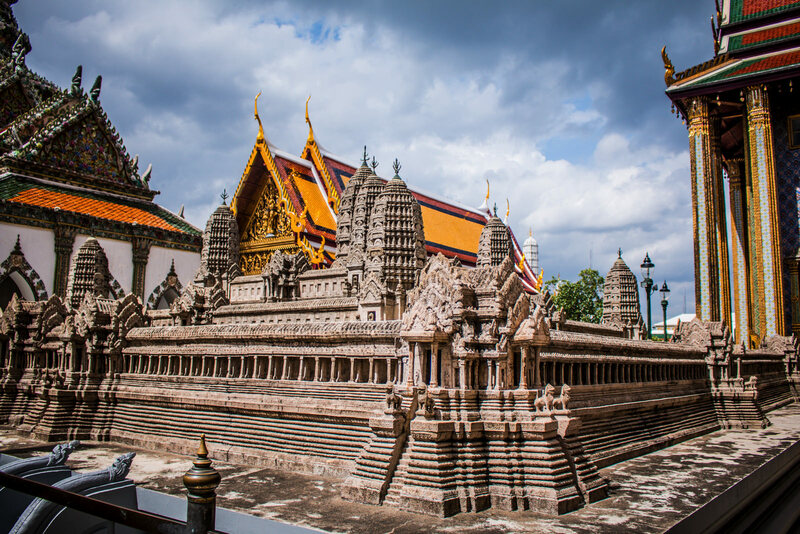 Outer palace buildings that visitors can view include Borombhiman Hall , a French-inspired structure that served as a residence for Rama VI (King Vajiravudh; r 1910–25). 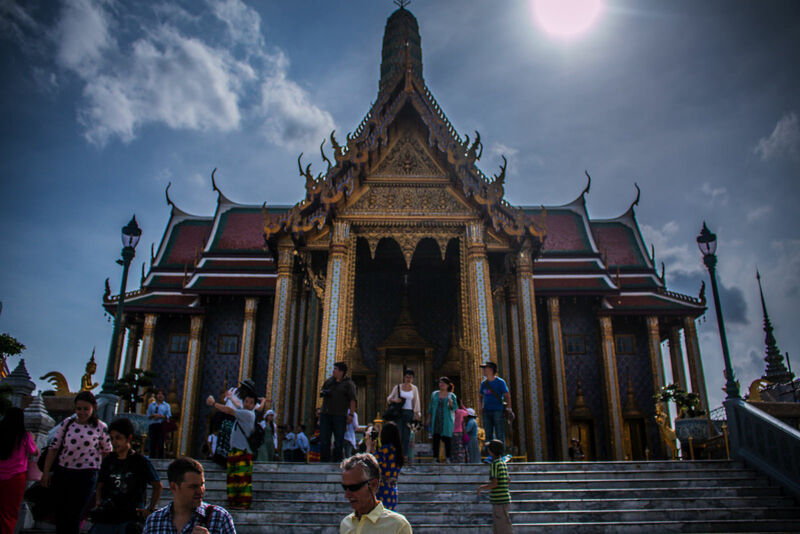 The building to the west is Amarindra Hall (open from Monday to Friday), originally a hall of justice and more recently, for coronation ceremonies, and the only palace building that tourists are generally allowed to enter. 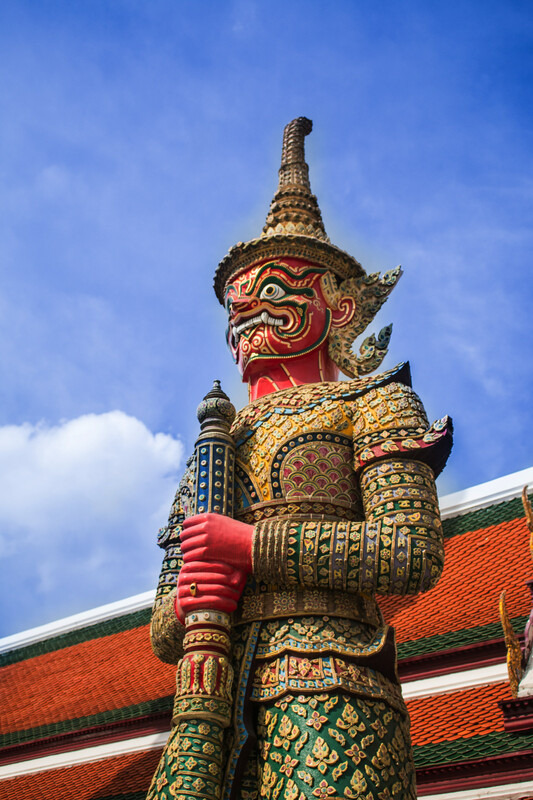 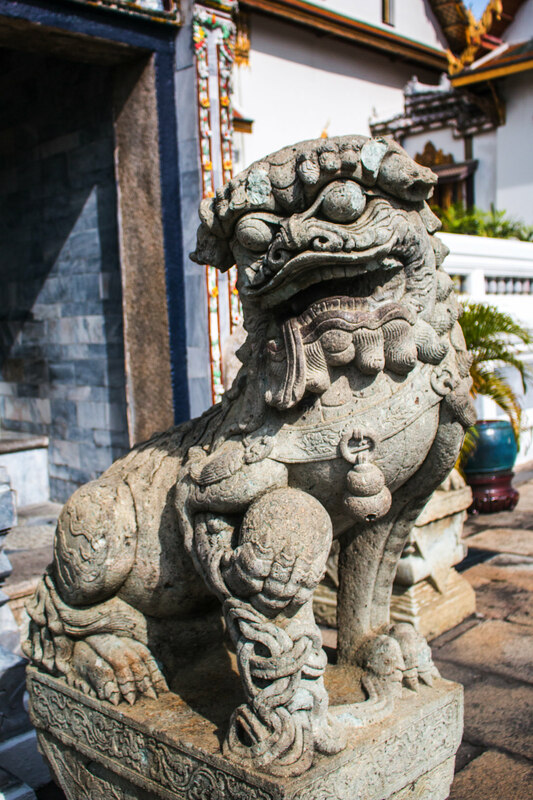 The largest of the palace buildings is the Chakri Mahaprasat , the Grand Palace Hall. 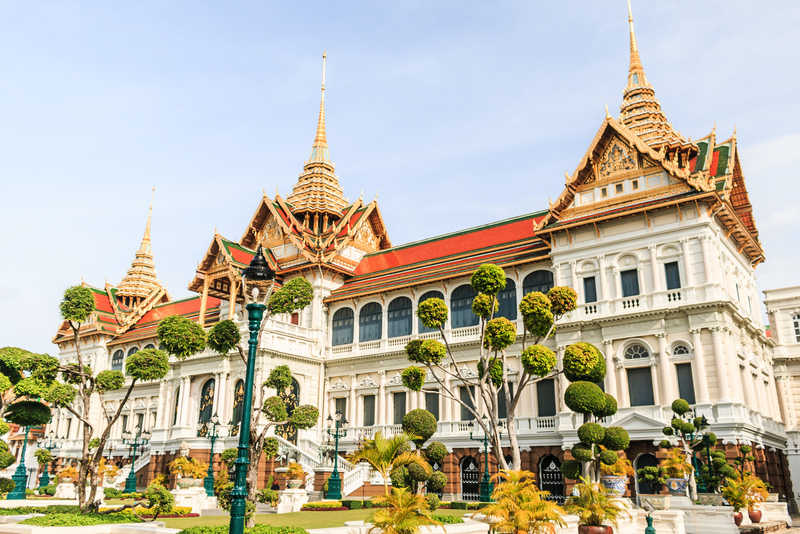 Last is the Ratanakosin-style Dusit Hall , which initially served as a venue for royal audiences and later as a royal funerary hall.